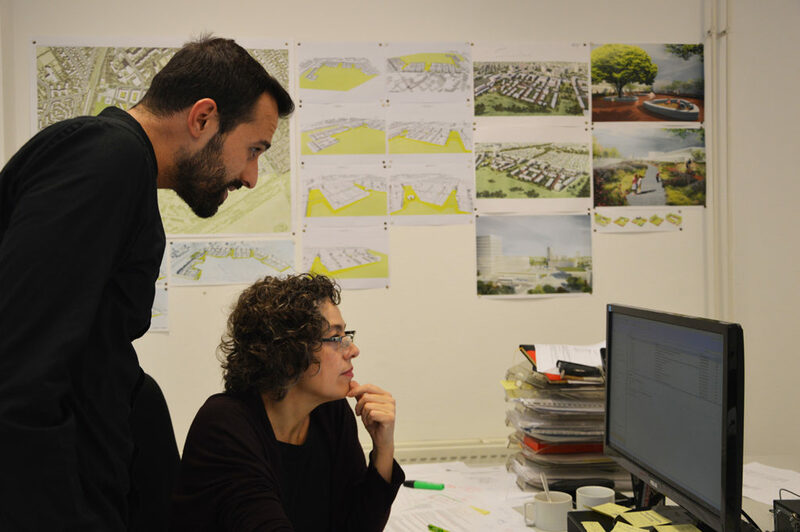 My EYE in Casanova + Hernandez architects is going on and during this period we are really focused on the job. Lots of deadlines around the corner and we have to deliver as much as possible. The work is really hard…but let’s say it, it’s amazing when you come back home, tired from the work, and you feel satisfied. It’s the sign everything it’s going right and you’re getting results, so…let’s continue struggling! During these 2 weeks, we were more concentrated on detailing. Mainly, we were involved in all the interior of the building we are working for. As a first step, we studied all the interior facades (materials, different layers and composition) and we put dimensions in all the drawings in order to check everithing and make it perfect for the delivering. It has been really interesting cause I tasted the “backstage” concerning the building area and the several ways to make the communication as clear as possible for the builders. After this first step, we came back on the infographic part and we worked more on the different issues linked to the readability of the paths. We worked on the “color palette” and on the styles to adopt and to relate to the different functions. Once fixed, we detailed everything as before, and we completed all the drawing. This stage of work has been focused more on the modeling field. Our goal to achieve, was to finish everything about the interior, in order to deliver the material and switch to another step. We started updating the 3D: we replaced all the furnitures and we worked in all the finishes such as false – ceilings and non–structural elements, adapting everything to the dimensions fixed during the previous phase. After that, we put all the lighting and the air conditioning systems following the installation made by the engineers. So, we prepared the whole 3D for the final renders and we made them in order to get a complete tour around the building and explain it to the clients as a kind of story. I felt it really useful; we worked more in a sociological dimension, studying the architecture from the point of view of the human dimension and how people live the space. Finally we concluded this phase about the interiors and now we are ready to work in other things, starting next week! Thanks for your attention …bye!